Once you completed publishing configuration and SDK integration, follow steps below for testing. Open offerwall in your app then ads will be displayed. If there is no ads displayed, then check these. Did you complete SDK settings? Did you enter all configuration fields in publishing page? Did you register your device as testing device? 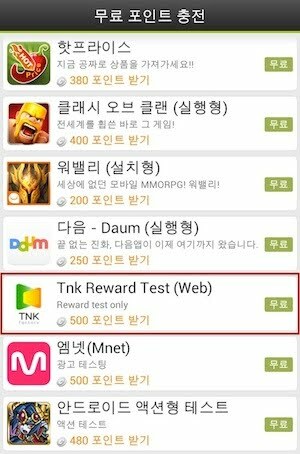 You can see 'Tnk Reward Test (Web)' ads in the middle of list. This is an ad for testing. Open 'Developer center' page and click 'View logs' link of your device. 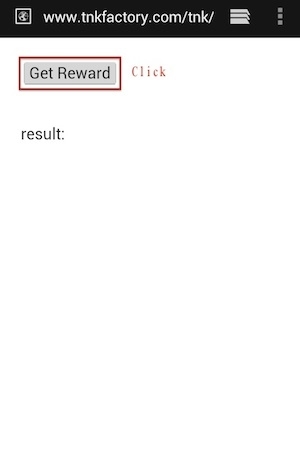 You can see the attribution log for 'Tnk Reward Test(Web)' ad. To test again, delete the attribution log in the list.